Tom Brady didn’t have to beat Aaron Rodgers in only their second head-to-head matchup to prove he’s the best quarterback of all time. It wasn’t a vintage performance for either quarterback. 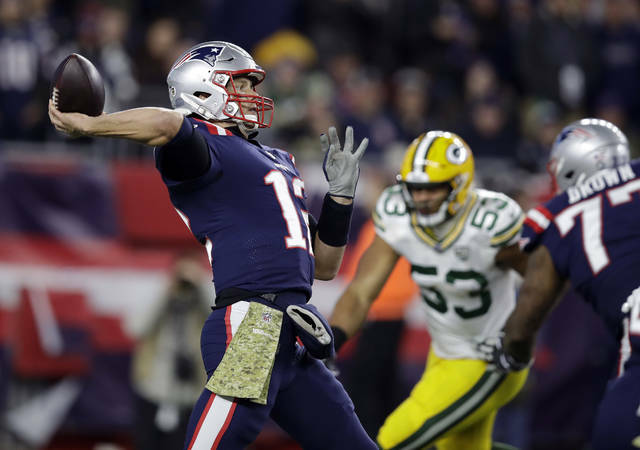 Brady tossed six straight incomplete passes at one point, and he couldn’t get the Patriots in the end zone on four tries from the 1 with the score tied in the third quarter. Still, he posted a passer rating of 99.0 on a night when he didn’t have star tight end Rob Gronkowski and leading rusher Sony Michel. The game was billed as the most talented QB vs. the most accomplished QB. Some considered that statement a slight against Brady. It’s not. Rodgers is immensely gifted with a strong, accurate arm and scrambling ability. He makes plays with his legs that Brady can’t. 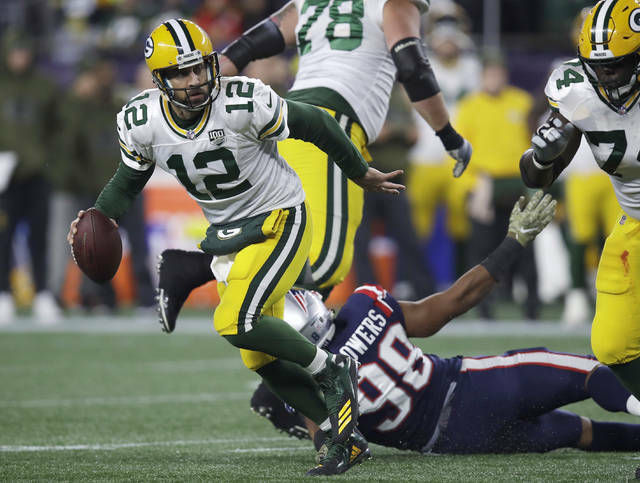 He makes throws few players ever could make, whether he’s on the run like the 24-yard pass to Marquez Valdes-Scantling on a third-and-1 late in the third quarter, or if he’s flat-footed, falling down, throwing across his body or heaving desperation passes into the end zone. Brady has a different style. He’s a drop-back passer with underrated pocket mobility, perfect mechanics and he simply outsmarts everyone else on the field. He fooled a pair of defenders with his eyes by looking as if he was throwing a screen pass and instead fired deep for a 55-yard TD pass to Josh Gordon to seal the win. But John Elway and Steve Young also belong in the “most talented” conversation, so it’s not even a slam dunk that title belongs to Rodgers. Michael Vick wasn’t nearly as well-rounded but he could throw a 70-yard touchdown pass with a simple flick of his left wrist or he could sprint 70 yards for a score at any point in a game. He has a case for the “most talented” debate if it’s based purely on physical skills. It won’t be long before Patrick Mahomes has to be considered, too. 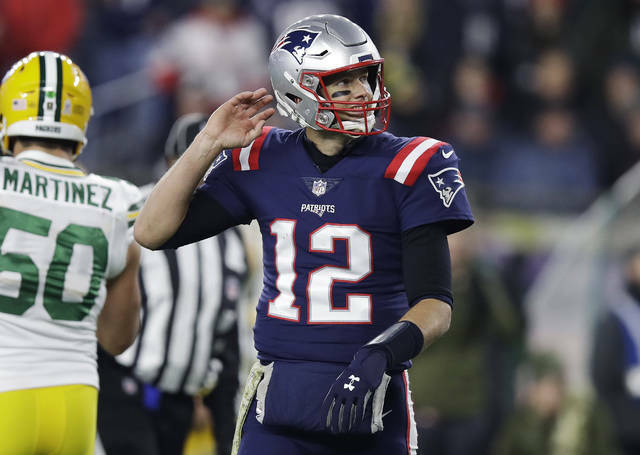 However, the “greatest of all time” argument ended when Brady rallied the Patriots from a 28-3 third-quarter deficit against the Falcons to win his fifth Super Bowl title on February 5, 2017. Rodgers is one of the best to play the game and he may be the “most talented,” but he doesn’t belong in the “greatest of all time” conversation. It’s Brady. Then Joe Montana. Peyton Manning deserves a mention. So does Drew Brees. Brady has eight Super Bowl appearances. He won his third regular-season MVP award last year at age 40 and he has four Super Bowl MVP awards in his trophy case. He’s still at the top of his game at 41, seven years older than Rodgers. So while the Sunday Night Football crew enjoyed hyping the matchup and even got Michael Jordan involved by having the six-time NBA champion record a promo saying “the best way to settle this debate is to play it out head-to-head,” Brady already earned the title way before helping New England (7-2) to its sixth straight win. Brady is the greatest quarterback of all time and he’s still proving it every week.